Since ancient civilizations discovered silver deposits lying at the Earth’s surface, the shiny metal has fascinated and inspired the creation of relics and artifacts ranging from jewelry to food vessels, to adornments for garments and served as an early form of currency between trading societies. As early as 700 B.C, silver was being used by Mesopotamian merchants as a means of transporting value that could be easily carried and traded for good in far away regions. When Columbus returned to Europe after establishing a route to the West Indies, trade in silver grew dramatically as new mines were opened up in the New World and silver played a significant role as a material for trade. In 1792, the United States Congress would base the US monetary system on the Silver Dollar, with it’s fixed value tied to gold, sovler was used to mint coins in the United States until 1965, but by then the use of silver as an industrial material had pushed the price beyond the practical use in the form of every-day monetary coins, though silver bullion coins are still produced in limited quantities by the Unites States, Canada, and many other modern nations. Silver has many inherent characteristics that lend to its use as an industrial product, as it is strong, malleable, ductile, and is able to endure high variances of heat, light, and is highly conductive for both electrical and thermal applications. 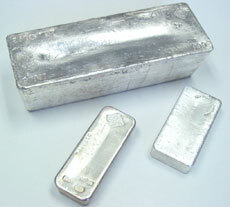 Silver also carries unique anti-bacterial qualities that have led to its use in various healthcare products. Some estimates claim that over 95% of all silver ever mined and refined throughout history has already been destroyed by industrial use – gone forever and never to be reclaimed or recycled. Silver’s historic role as a store of value and investment, and its increasing demand in an environment where growing industrial use exceeds available new supplies, further suggests a bullish trend for this versatile metal. Anyone who follows world headlines is certainly aware of increasing and ever-present geopolitical instability. This, combined with the evolving economic landscape, can be viewed as bullish catalysts for the silver market. Some of the world’s leading financial analysts believe that silver is one of the world’s most important metals, with unprecedented investment opportunity for the future. Silver’s unique properties, which make it ideal and essential for global industry, create a situation where there is simply no substitute, making silver an attractive investment and trading vehicle.